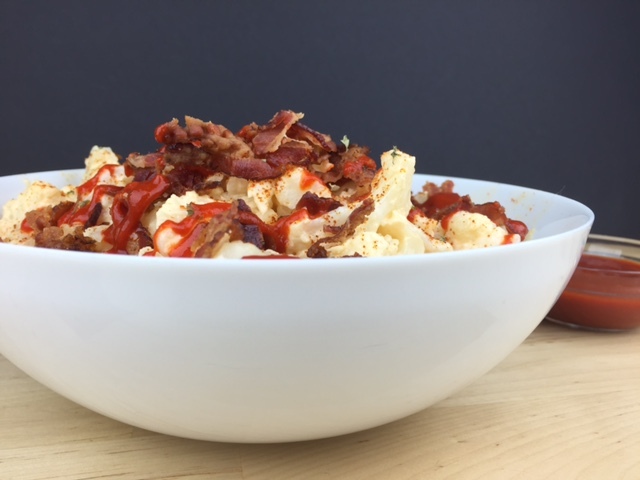 Try this low carb "potato" salad with a kick, made with cauliflower and sriracha chili sauce. Perfect for your next cookout, picnic or barbecue! Allow the mixture to cool for 15-20 min. *Note: Substitute LC Brown Sugar Sweetener for traditional brown sugar in this recipe to keep it low carb!